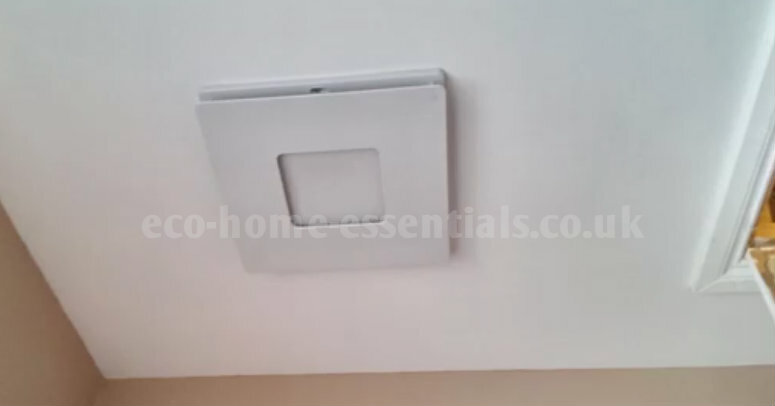 Domestic heat recovery systems are all the rage at the moment, mainly because we’re building more and more air tight homes which need additional mechanical ventilation in order to avoid mould, condensation and smells. It can get really confusing. Especially after talking to several suppliers all of whom claim that their system is the best or the cheapest to run or the most efficient and so on. If that all sound familiar then keep reading, as I'm going cut through all the hype and jargon. After all I don't care which system you buy, just so long as it's the right one and you go away from this series of articles knowing what to look for in a heat recovery system. Counterflow heat exchangers - this is the one that’s used most as it offers the best heat recovery figures. they tend to be smaller than the other two types and come in either plastic or aluminium construction. Typically the plastic models tend to offer slightly better heat recovery but the aluminium models tend to offer a longer lifespan. The counterflow type does however tend to be a little more expensive to run than the other types. Crossflow Heat Exchangers - these work in the same way as the counterflow heat recovery systems but the contact area in the heat exchanger is smaller so they’re less efficient. Rotary Wheel Heat Exchangers - this type draws air back and forward through a rotating aluminium drum which acts as the heat exchanger. They tend to be used in commercial units as they tend to be large, heavy, more expensive to run and noisy. This is the thing that seems to get quoted to most would-be buyers and they tend to be in the region of 90-95%. Regardless of the manufacturer, they're all tested to certify their performance levels and most of them perform to pretty similar levels (i.e. 90% - 95%). These are a little like mpg figures for your car, they're tested in lab conditions so you should be aware that these figures that will be quoted to you when considering a system won’t be the same as the figures you get once the “entire system” (including all the ducting etc.) goes into your home. You’ve probably already realised that when I talk about the “entire heat recovery system” I’m not just referring to the main heat recovery unit that you’ll see on display at the various home shows and showrooms. 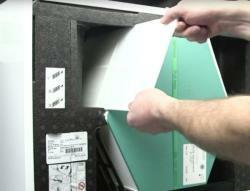 The entire system includes everything that's installed within your home to make the system work i.e. all the ducting and diffusers etc. Which is why I can say that no two systems will perform exactly the same even if they use the same make and model of heat recovery unit. Purely because the fitting, ducting and other parts play such a huge part in the overall performance of the finished system. Why do the Ducts etc. make Such a Difference? 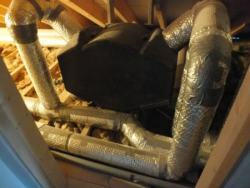 The ductwork in every house will have a unique layout and each design will have to avoid different obstacles that may be in the way of the ducts etc. 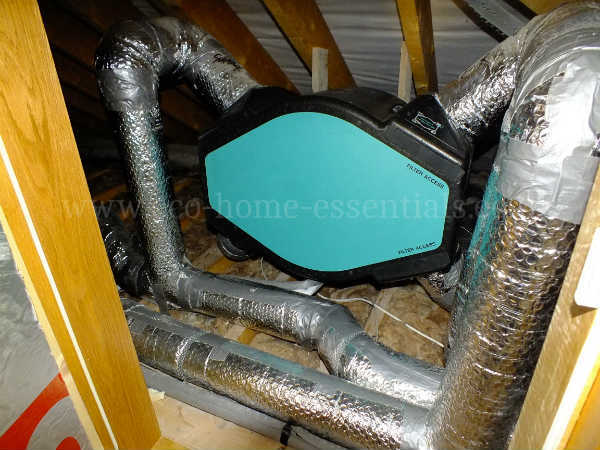 As soon as you add ducting and bends to the ductwork you cause resistance to the air flow meaning the fan unit in the heat recovery system will have to work harder to overcome this resistance. And, if it has to work harder it’ll be noisier and cost more to run. So we've established that the main heat recovery box they sell you is only part of the picture. But what other differences are there? Fan Output - some fan units can run at very low outputs, but they may also need to run lower grade filters to avoid having to increase the fan speed to overcome the increased air resistance from higher grade filters. Running Costs - it's not really possible for someone to tell you what your system will cost to run before they do a detailed system design. The above are the big three, then you get into smaller features like summer bypass settings, constant volume settings, speed settings etc all of which I cover here. In my opinion it’s more important to spend a little more in order to get a good, well designed system that uses high quality ductwork, that's installed correctly and will last for many years. The alternative is to save money and get a cheap system that will probably be poorly designed (if designed at all) system that maybe doesn’t use the right ducting, is noisy and potentially more expensive to run than the higher cost system. So getting the right design is probably the most important part of the entire project. This means going to a specialist who can show you how they're designing it to ensure it meets all the necessary requirements. If it's designed well it'll be quiet and efficient while providing the correct number of air changes. The only way to achieve this is by specifying the correct ducting, noise suppressors, vents and diffusers etc. So regardless of whether you choose a system because it’s fans are cheap to run or it’s filters can keep out pollen etc. What you really want to know is that once the entire system (ductwork etc.) has been specifically designed for your home, that it will deliver the promised efficiencies and be quiet while the fan unit is running at normal speed. If it needs to run at a boosted level for prolonged periods in order to achieve the required air changes then there’s more risk it’ll be noisy and expensive to run. Provided the main heat recovery systems are certified they should all provide similar performance levels. Where it is most likely to fall apart is during the design stage or installation stage. 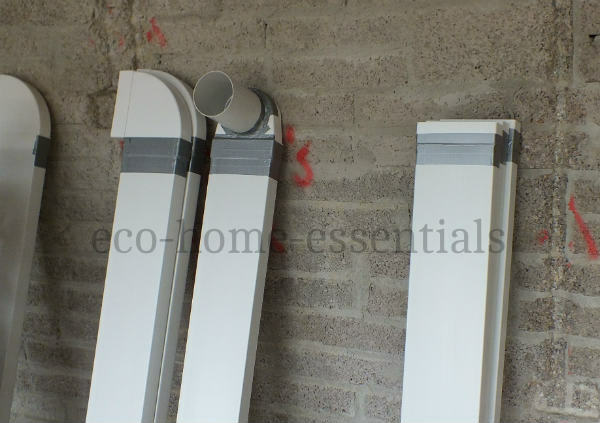 Provided it's designed correctly and the correct ducting etc. is used all the well known systems on the market are capable of doing what they're supposed to. Under Building Regulations (Part F 2010) the installation of a heat recovery systems is now notifiable works, meaning they must be passed by Building Control. That means they have to be commissioned, which involves balancing fans and room vents amongst other things. So make sure your installer is BPEC (British Plumbing Employers Council) certified. At this stage the biggest issue is the running speed. You want the system to ideally run at its lowest setting while still achieving it's set goals. If the installers need to set it to run at a boosted setting then there's an issue. 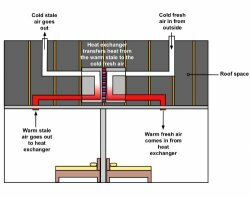 An introduction to heat recovery Units. Features to look for in a heat recovery Unit. 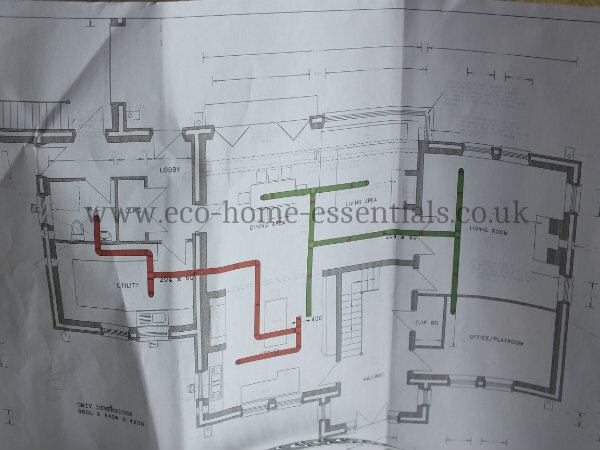 Potential issues when fitting a heat recovery System. Home Page. › What is Hear Recovery. › Are all Heat Recovery Systems Equal?